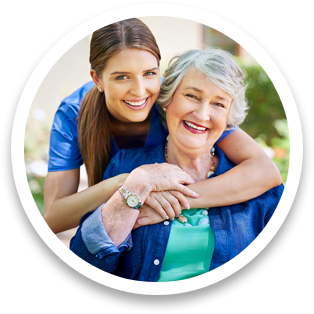 CareOne Senior Care Prides Itself on Having a Team of the Friendliest, Most Compassionate and Highly-Trained Caregivers in Southeast Michigan. We go beyond making sure that our caregivers are highly-skilled, educated and hold the top certifications available - we make sure that they’re honest, warm, caring individuals with a true passion for helping others. CareOne caregivers are directly employed by us and undergo thorough interviews, background checks, training and orientation. We also require ongoing education in order to ensure they maintain and nurture the high level of skill, experience and compassion that our families and their loved ones deserve. This certification elevates their knowledge and status in the industry and instills in them the highest standards of caregiver professionalism. A specialized training program designed by a hospice nurse that educates caregivers on death and dying, how to assist patients and hospice nurses with end of life care and prepare them for the emotional consequences of caring for the terminally ill.
A unique certification program designed to exceed the State of Michigan Direct Provider training requirements, guaranteeing that our caregivers remain the bar-setting home care professionals in our community. An advanced certification geared toward furthering knowledge of memory care and how to provide superior care for those suffering with cognitive impairments. This allows our caregivers to encourage mobility and independence, while also helping them understand the unique needs of a Parkinson’s sufferer under their care. Training in how to properly monitor and provide medication management for individuals suffering from diabetes. Advanced knowledge on the most common conditions leading to re-hospitalization in individuals with chronic or post-acute conditions, and how to identify symptoms of complications that may require rapid intervention. 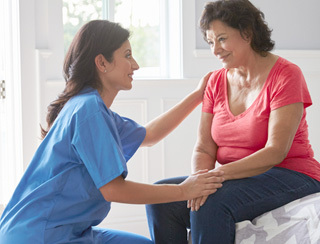 The industry leader in professional care education, the Institute for Professional Care is available to all of our caregivers, who are required to meet certain standards for ongoing education in order to ensure they have the latest skills and information available. Speak to a Care Coordinator Today with No Obligation! We are here to help! You can reach out to us at any time without ANY pressure to commit to our services. Simply call us or message us so we can learn more about your unique situation and share how our caregivers can improve the quality of your life!